Are you guys know I’m a huge fan of watermelon. To be honest with you guys, my love for watermelon wasn't always there. When I first started my healthy lifestyle journey last year. It wasn't until I started to educated myself on the various healthy fruits that my love for watermelons started to blossom. Prior to my lifestyle change, watermelon wasn't on the grocery list. I mean, I can't even reminisce on the last time that I actually purchased a watermelon. I can't even remember the last time I had watermelon too. I was more of mango, pineapple type of girl. I like simplicity when it comes to fruits. I know what you might be saying. Well, mango and pineapples are not that easy. Well, they're super sweet and compared to a huge watermelon. They are like micro fruits. I just wanted to wash my fruits off and enjoy them. Instead of slicing and cubing a watermelon. Let's be honest, when we just don't want to deal with something. Well, come up with every excuse in the book. Once I started my lifestyle change and read up on all of the amazing benefits of watermelon and let's not forget when I found out it was low in calorie. I was sold. I started purchasing multiple watermelons at a time during watermelon season. One watermelon to juice and cube the other one. I had a system for cutting a storing watermelon, and I was on cloud nine. I honestly, have to give watermelon the actual credit for me reaching my goal. It wasn't until I start counting calories and using the MyFitnessPal app that I realized the sugar amount in my favorite fruits. I thought just because they were fruits that I could have as much as I wanted. This is when educating myself came in handy. I realized that I could have an entire bowl or watermelon versus a couple of slices of my favorite fruits and it was half of the calories and sugar. If you follow me on Snapchat. I would go to Costco and Aldi's at least once a week and stock up on watermelon. Plus, you get more bang for your buck. As prior mentioned, once I had a system/technique in place. It was so much easier to actually enjoy watermelon. I love how versatile watermelons are. You can enjoy them in a salad, grilled, and let's not forget about my infamous Watermelon Lime Juice, Watermelon/Strawberry Smoothie. 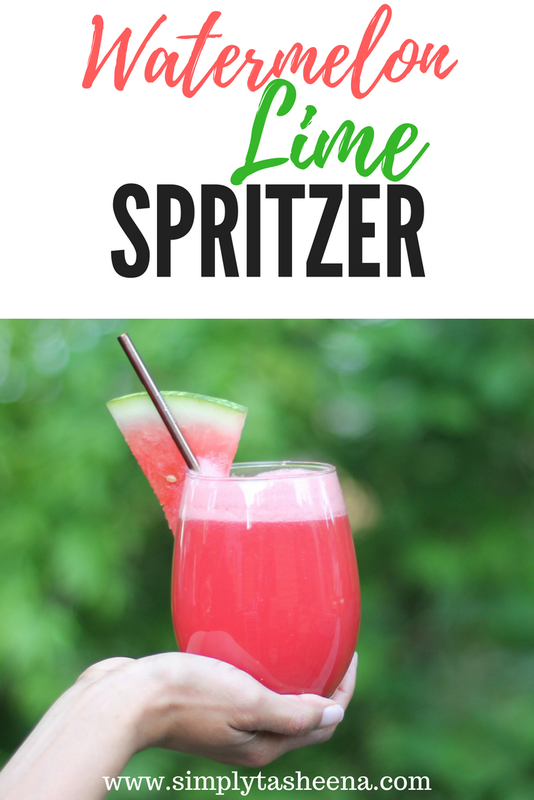 I wanted to add to this list of my favorite watermelon recipes is a super easy watermelon spritzer. What I love about this recipe is that it's low calorie, kid-friendly and approved and it's perfect for those hot spring/summer days. I do not add any sweeteners for myself. However, sometimes I will add some for my son if he requests it. Please feel free to add sweetener if it fits your fancy. 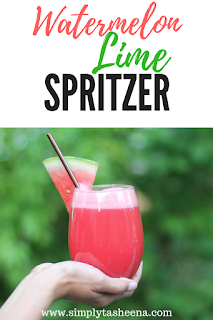 This recipe is also awesome if you have your fresh Watermelon Lime juice on hand because all you literally have to do is at the spritzer. I typically only add sparkling water. However, you could add soda. You also can garnish this recipe with your favorites: slices of watermelon, slices of lime or wedges and/or even mint! Whatever works for you! This recipe is also a party pleaser!! Just giving you guys a fair warning that once you make this for your friends and family they are going to ask you to make it for them all the time. I also love that this recipe can be made in advance. I personally don't add the sparkling water until I'm ready to enjoy! 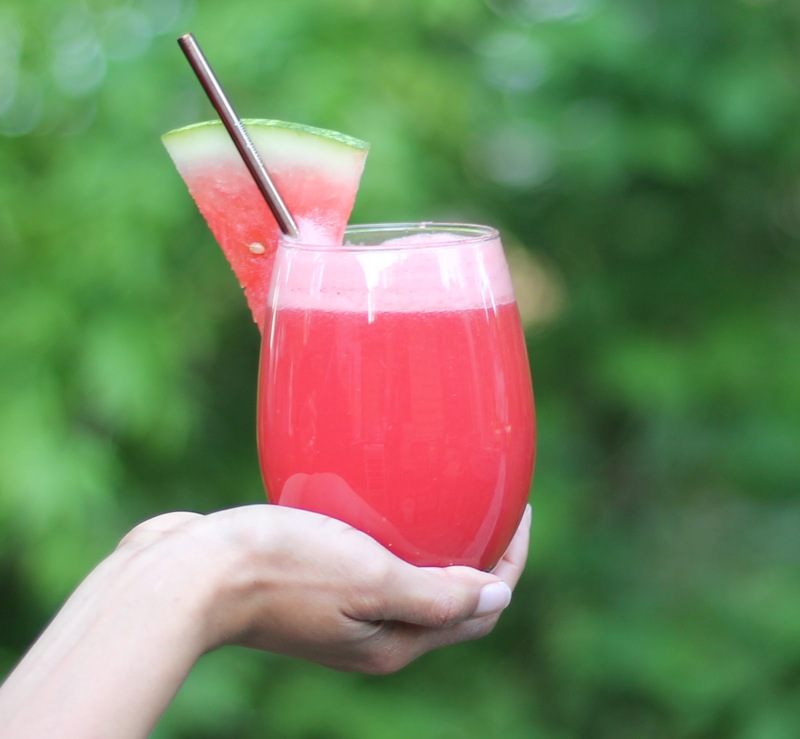 Have you tried a watermelon spritzer before? Mix equal part of watermelon lime juice and sparkling water together. Add your favorite sweetener, and garnish. Enjoy! Watermelon has been a big favorite ever since I was a little girl. A lot of the farmers from my small town grow watermelons. I need to make your watermelon lime spritzer. It looks so delicious. The wonderful flavors of summer. Watermelon makes such a wonderful tasting drink. Plus it makes such a pretty drink everyone is impressed. I find watermelon to be the most refreshing summer fruit that there is. To be honest I never thought of drinking watermelon, but such great ideas. This sounds like an incredible drink. I will be trying it out during the summer. I love to sip on drinks like this when it's hot out. I have always liked watermelon. I got some that was just perfect this week and as I was eating it last night was thankful it didn't have the calories of some of the other things I like to eat. I love anything that has to do with watermelon and this drink looks amazing. Watermelon equal summer I'm pretty sure LOL. This would be a fun drink to make. This looks and sounds like a drink I would really enjoy. I think I'll give this a try over the weekend. I love watermelon, but not all of my kids do. My husband likes it. They used to grow watermelons when he was a kid, so he know a lot about them (plus great recipes for them). It is so hot outside, I bet this drink is really refreshing! I have a watermelon that is perfect for this drink. This looks perfect for the over 100 degree weather we have here in Dallas. I love watermelons and would love to even add a little shot to it! Perfect timing! We just bought watermelon and it so hot in here. Definitely gre6to try while trying to cool down. Seriously?! It's that easy? I was thinking of what to make my friends for when they come over next weekend. I will have to make them this! Wow, this is a cool idea. I love how refreshing it is. What I love that its so easy to do. A good idea to prepare as well for a house party. Yes please, this looks so refreshing! It's a perfect one to have during hot summer days! I picked up some watermelons on sale last week and picked up probably more than I should have but they were on sale so I couldn't pass it up. This recipe may come in handy to use some of them up and do something different. OH! 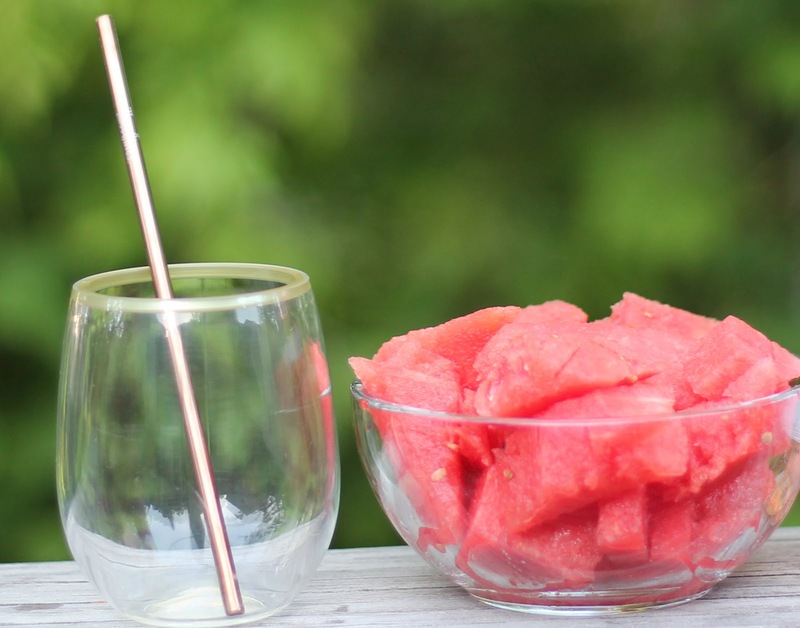 We have been eating watermelon like crazy lately and I am always looking for new ways to enjoy it! This looks amazing! I've never thought about combining these two flavors together! I bet this is so refreshing! 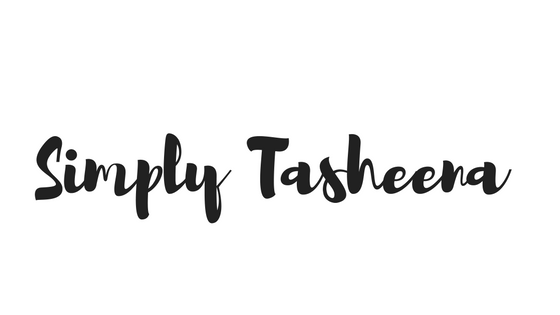 My Stepdaughter and her husband are moving home next month after being away for over a year and I would like to host a welcome home party for them. Since she loves Watermelon this will be the perfect Beverage to share at the event.